Two sharp arêtes lead off the summit - Striding Edge Helvellyn and Swirral Edge. They run either side of Red Tarn. 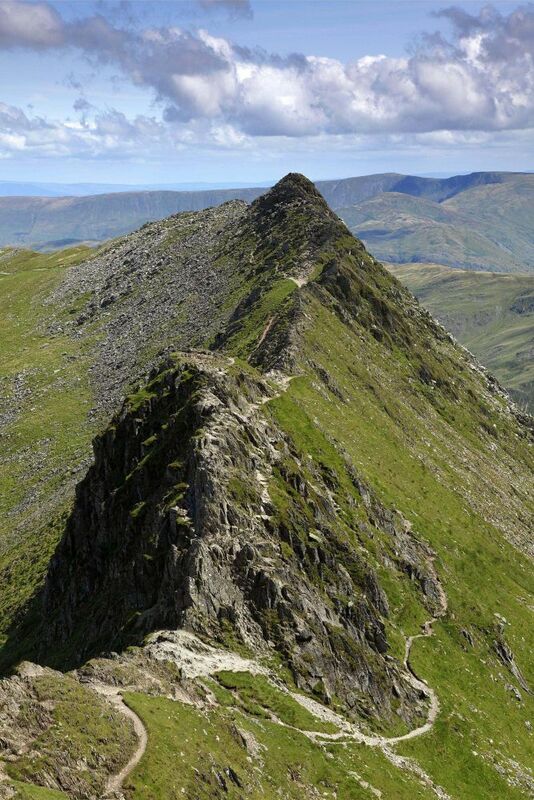 The knife-edged Striding Edge provides one of the best-known scrambles in Lakeland. It can be very dangerous in icy or windy conditions but in fine weather, it’s an exciting challenge for anyone with a head for heights.